Acer is on a roll. 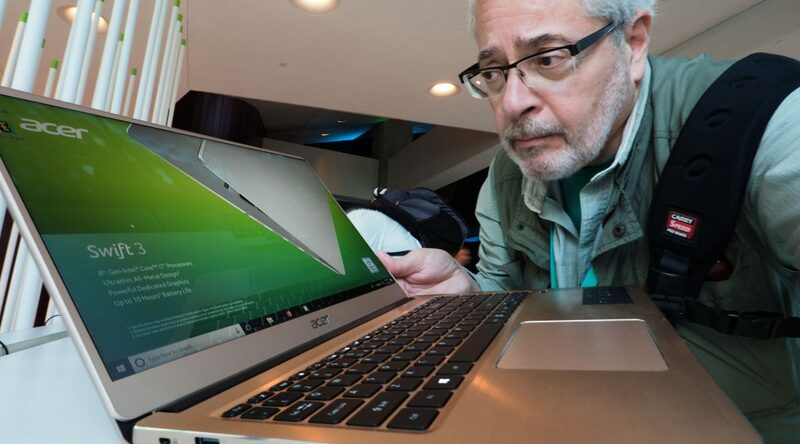 A full parade of well-designed and performing Pads, notebooks, and chromebooks along with cutting edge gaming laptops and desktop PC’s launched at the next@acer global event in New York. 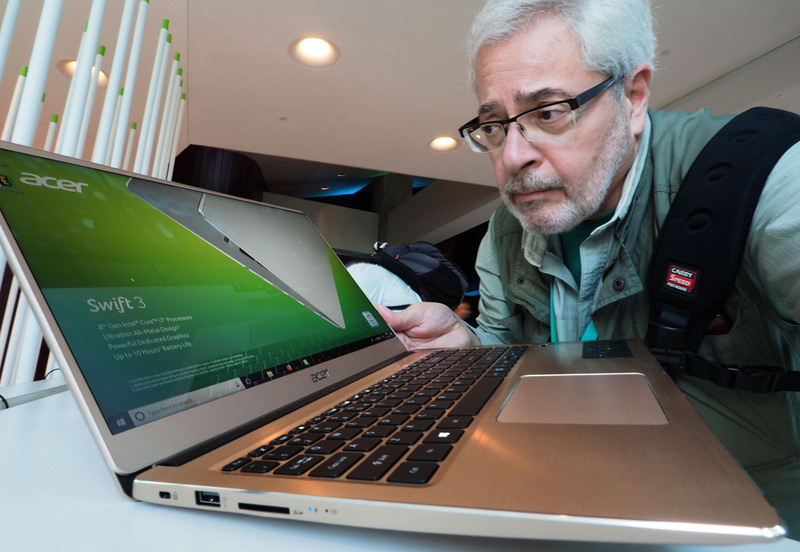 • The new Acer Chromebook Spin 13 and Chromebook 13 boast all-aluminum designs that are durable, thin, and light. Designed with productivity in mind, the new Acer Chromebooks feature 3:2 aspect ratio screens for more vertical space than wider 16:9 screens, reducing the need for scrolling while editing documents and spreadsheets. They Include 8th Gen Intel® Core™ processors providing remarkable performance – 50 per cent more processing than last year’s processors and exceptional battery life. 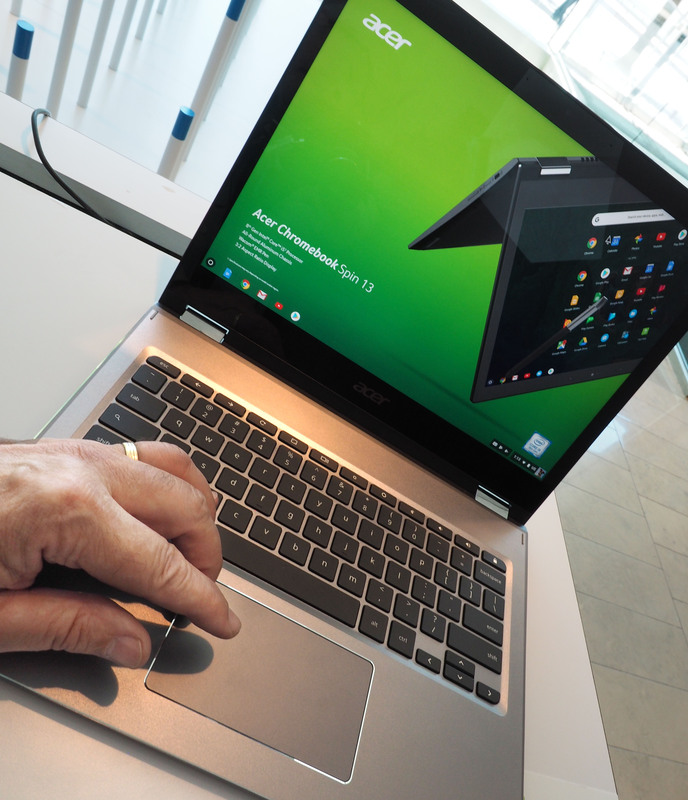 The new Acer Chromebooks feature dual USB 3.1 Type-C Gen 1. The noticeably smooth Gorilla Glass touchpad is a nice “touch”! • With a 15-inch display, the Acer Swift 5’s elegant chassis weighs less than 1 kg (2.2 lbs), ideal for people always on the go. The Swift 5 is powered by Windows 10, the latest 8th Gen Intel® Core™ processors, and features exceptional performance and battery life that lasts through the workday. Swift 5’s Full HD IPS touchscreen featuires ultra-narrow bezels measuring just 5.87 mm, giving it an incredible 87.6% screen-to-body ratio that maximizes the viewing experience.. 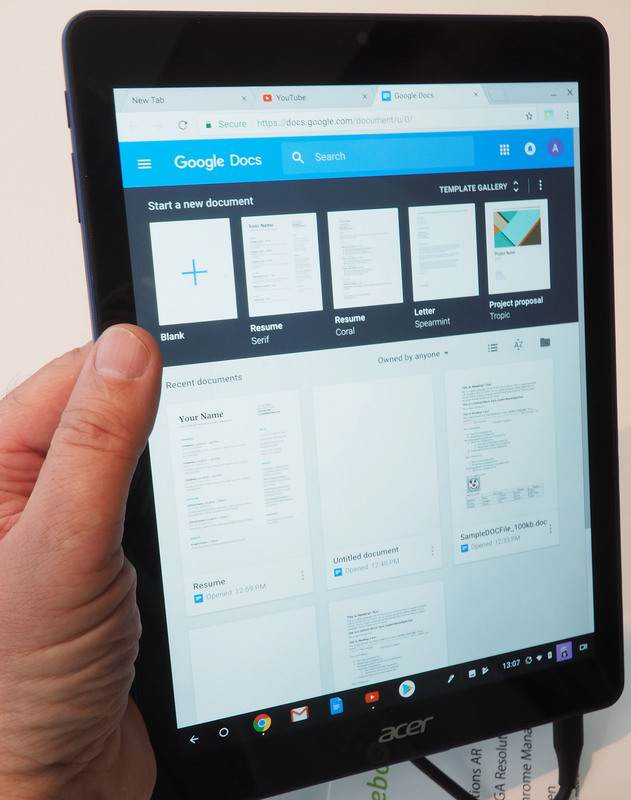 The recently launched Acer Tab 10 Google Expeditions AR 2048×1536 QXGA screen with value added Wacom EMR Pen tops portable devices ready for Virtual and Augmented Reality. Available now for $466 CDN. Acer’s commitment to the gaming industry is reflected with 94 per cent year over year growth according to Jason Chen Chairman and CEO, Acer Inc. Here are examples of over-the-top and affordable gaming devices announced. The Predator Helios 500 and Predator Helios 300 Special Edition feature cutting edge thermal technologies and radical new designs for gaming enthusiasts. Featuring up to overclockable 8th Gen Intel Core i9+ processors and overclockable GeForce GTX 1070 graphics. Intel Optane memory increases responsiveness and load times, while ultra-fast NVMePCIe SSDs, Killer DoubleShot Pro networking, and up to 64GB of memory make the Helios 500 the ideal gaming notebook for graphic-intensive AAA titles and live streaming. Available in North America in June starting at $1,999. 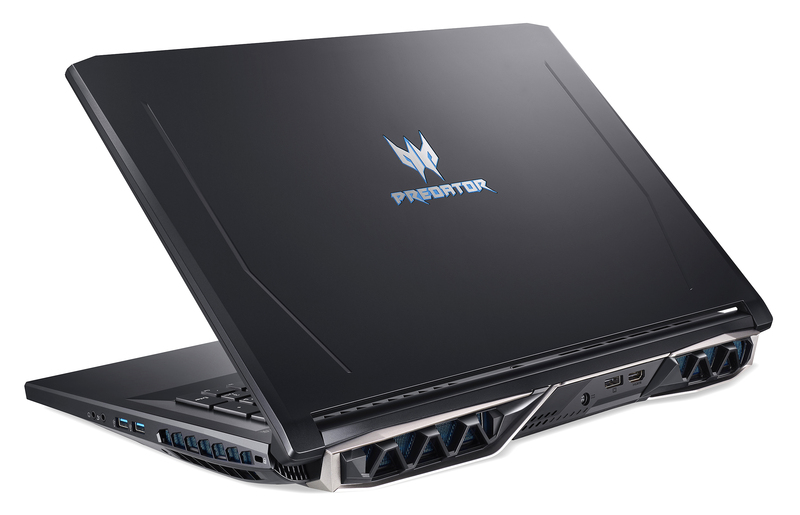 The Predator Helios 300 Special Edition, prices TBA, features 15.6-inch FHD IPS displays with an upgraded 144Hz refresh rate, 8th Gen Intel Core i7+ processor and overclockable NVIDIA GeForce GTX 1060 graphics. In contrast, for impressive casual gameplay at affordable prices Acer unveiled the Nitro 50 Series desktops and Nitro VG0 and RG0 Series monitors to easily handle demanding processing and graphics requirements for both content creation and consumption. These performance PCs are powered by up to 8th Gen Intel® Core™ i7 processors, and equipped with up to NVIDIA® GeForce® GTX 1070 GPUs to deliver superior performance for graphic-intensive tasks including gaming. They deliver 4K resolution and can support up to four displays simultaneously for immersive gameplay. They pack up to a 3TB HDD and a 512GB SSD and sport a handy wireless charging deck for keeping users’ Qi-enabled wireless devices powered up. For eye candy Nitro 50 series features striking and edgy armour-inspired housing with front-facing LED lighting that emits a sinister red glow. Available in North America in July starting at $799 USD. 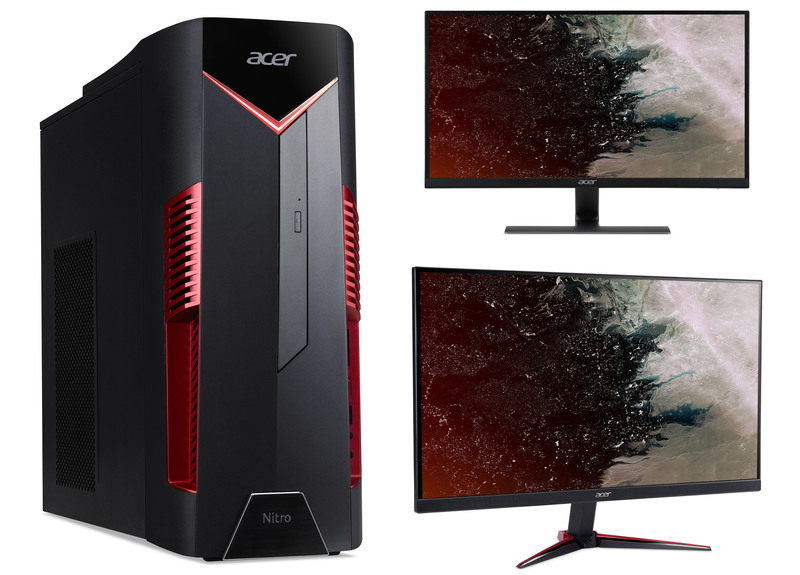 Matching Acer Nitro VG0 series available with 27-, 23.8- and 21.5-inch panels delivering true-to-life color, and resolutions of 4K UHD, WQHD or Full HD will be available in North America in June starting at $129.99 USDwhile the Acer Nitro RG0 gaming monitors with 1920×1080@75Hz resolution will be available in North America in July starting at $169.99 USD.